New and Very useful features of MacOS High Sierra, OS X EI Capitan is split view, using this features you can do your work on different applications or documents side by side on the same screen easily. Split view automatically arrange own space equally when you put running program or apps in split view mode. 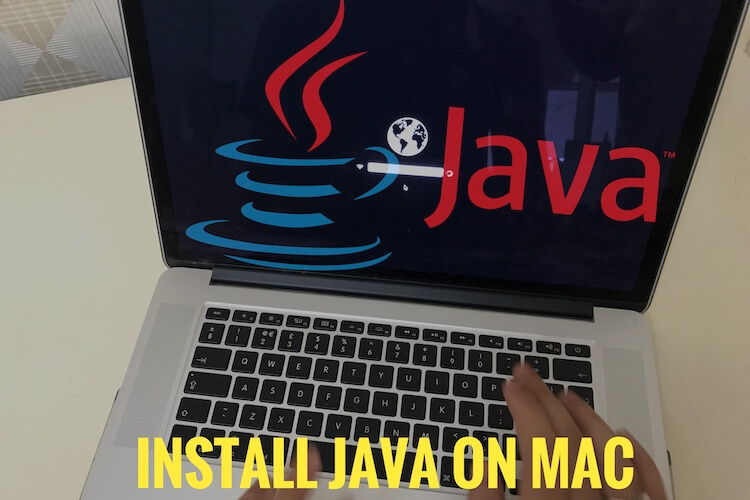 You can also do your job by drag and drop from one app to another one. if you don’t want split view features then you can remove/ Disable split view in OS X EI Capitan. in this tutorial. 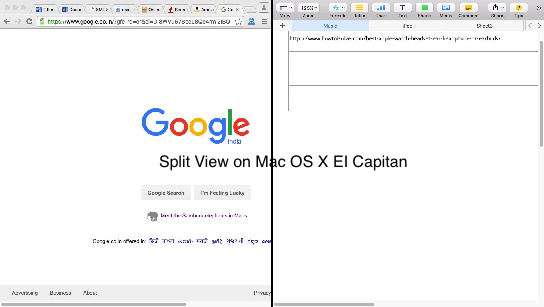 First I show how to use a split view in OS X EI Capitan if you don’t like then you can disable or re-enable again in future for use on the same device. You can put your apps in split view are mostly users are using for Browser (Safari, Chrome, Mozilla), Documents, image editing Apps, Developers tools and more. Keep your apps up to date with the latest update, Because new apps update will improve and compatible with a Split view. Step 1: Go to the top right corner of the program, Click on minimize green icon and hold/ Pressed. Until you will see the split screen. Leave windows at region by drag into. from the another one view you can set any of another. With step 1. Now you can easily view apps/ Programs side by side on the single screen. More: See the video tutorial for how to use the split view. 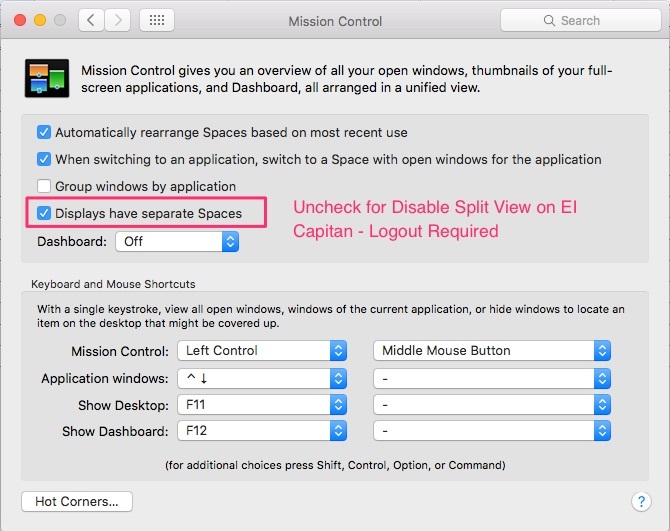 From the settings, you can remove split view feature from Mac running with EI Capitan. Go to the System preference under the Apple menu. Uncheck Displays have a separate space option. For disable Split view on Mac. For apply changes, you must log out your system. Have you any confusion and problem, Want more help on using a split view in MacOS High Sierra, OS X EI Capitan, Yosemite or Split view not working on Mac, Kindly share with us on below comment box.